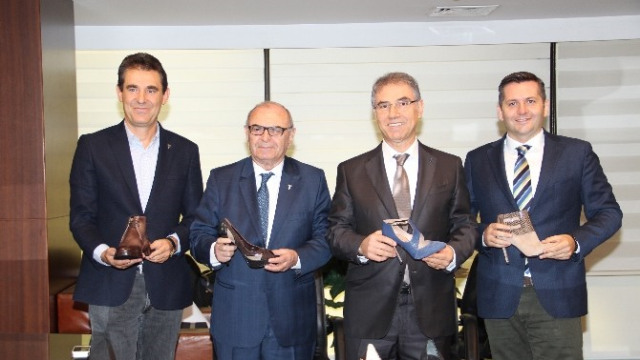 Jak Galiko- President of Board of Directors of Aegean Leather and Leather Goods Exporters Association, Eyüp Sevimli - President of Aegean Leather Industry Association and President of IZBAŞ Board of Directors, Erkan Zandar and Süleyman Tahiroğlu, Vice Presidents of Aegean Leather and Leather Goods Exporters Association have reacted to academics that praise use of synthetic materials and remarked the importance of use of genuine leather in shoe manufacturing. Eyüp Sevimli making a statement in the press conference said, "Genuine leather cannot be compared to synthetic leather. As leather manufacturers, we are not slaughtering animals for the leathers used in manufacturing. We use leathers gathered from meat farms as their by-product. That is, we use the leathers of animals that are butchered for meat; no animals are slaughtered just to obtain their leather." 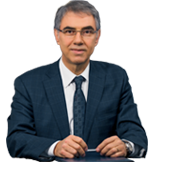 Eyüp Sevimli also indicated that genuine leather is healthy and synthetic leather is not recommended for foot and body health.